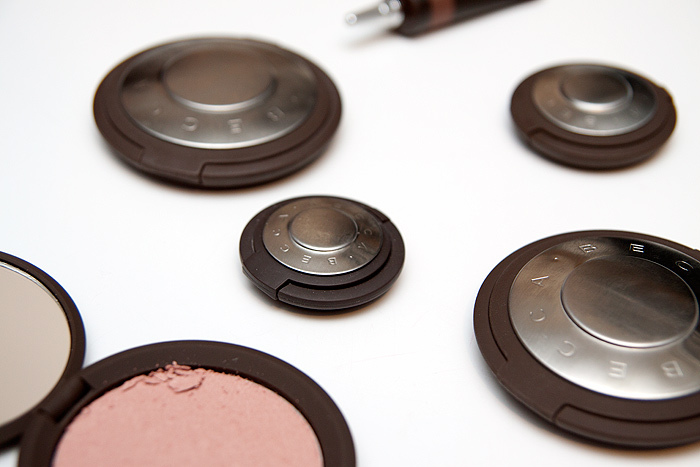 Australian brand Becca is one of my favourite cosmetic lines, I love almost everything about the brand. The shades, the packaging, the beautiful campaign imagery that sets my pulse racing not to mention the products that deliver polished and understated results time after time…. But there’s one thing I don’t like about the brand, infact… it’s such an issue for me that I’m on the verge of throwing my toys out of the pram and boycotting. My Pressed Shimmer Powders keep disintegrating. Now, I don’t carry my makeup around with me. I don’t need to… I work from home and if I’m out and about, I’m usually too laden down with either L’s things or my camera – a makeup bag is not an essential in my life. These powders are treated with kid gloves and they sit in a drawer on my desk. So why the hell is this the SECOND time one of my Becca Pressed Shimmer Powders has started to lift from the pan in this way? You might think that I’m one helluva unlucky madam… I must admit, I was contemplating resigning my online account with Lotto too until I googled the issue and realised that I’m not the only one experiencing this quality concern. Let’s do some maths here… I’ve owned a total of 5 Becca powder products and 2 have disintegrated – those stats aren’t good. On the Becca website, I see that the Pressed Shimmer Powders are in the ‘last chance’ section so it looks as though they’re going to be discontinued. I’m not sure whether to whoop or sob. As for my beautiful, broken Nefertiti Pressed Shimmer Powder that I got for Christmas? Well… I just shed a little tear. And at £30, it was an expensive one. 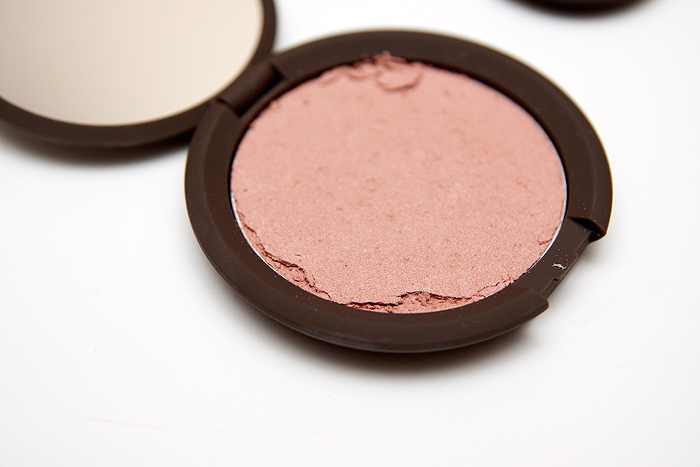 Have you experienced any crumbling issues with Becca powder products? Maybe it’s the ingredients that create that pan-rejection effect? Who knows. I guess when you pay that amount of money for a product you expect them to be just perfect. WOW I’ve never even SEEN something like that before. Wow, that’s too bad. I love Becca too, but only have cream or gel products. I would just smash and crush it already and put it in another container and use it as a loose powder. You could also add some other powders and make your own shimmering powder. I do this a lot- it’s fun to make up your own powder. If you don’t like ti loose, you can add alcohol and press it down again. That’s really weird, is the powder particularly soft or crumbly? I was actually trying to find these last night after reading a recommendation and wondered where they had disappeared to. I wonder if they’ll be bringing out an alternative soon? They’re really delicate. One of mine suffered a knock in transit and arrived chipped at the edges and another lifted after the slightest tap on a hard surface. I’ve sold all mine now. Pretty, but just not practical and I have more than enough to keep me amused. that’s a shame. I would have expected more from BECCA. Would you consider dissolving it in alchohol and repressing it, or would that be too heartbreaking? Yes, mine did the same! Exactly as yours and began flaking at the edges. I tipped it into a pot and used as loose powder but it’s just not as good. All the powders in my showgirl palette did that and I never took it put of the house either. I used up the two cream products in it then tossed it. Total waste of 60 quid. It was my first and last Becca item.